In response to questions from lawmakers during his second confirmation hearing, Kavanaugh said he first learned of Ramirez’s claims from The New Yorker, the venue in which her story appeared. NBC subsequently recovered text messages revealing the justice and his allies were discussing Ramirez’s allegations before the story’s publication, prompting charges of perjury. 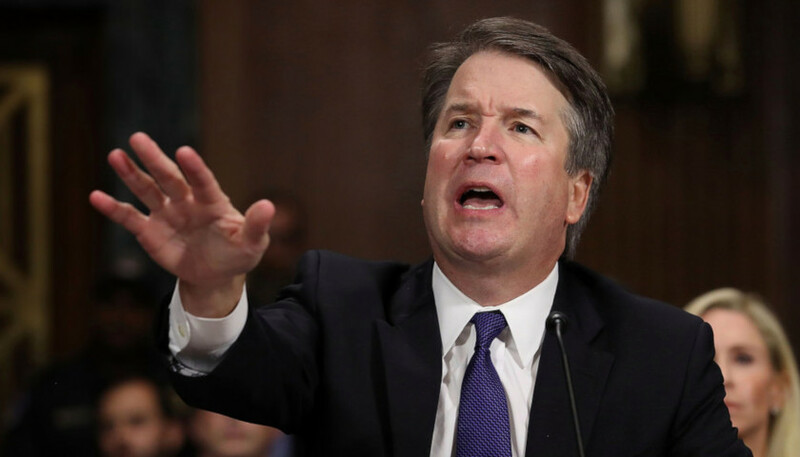 However, Kavanaugh told Senate investigators before the hearing that he learned Ramirez was searching for witnesses to corroborate her story well in advance of The New Yorker story’s publication, thereby belying the perjury charges. The NBC report was stealth-edited, and a correction was never issued. Other theories suppose the justice lied about the contents of his high school yearbook or hid his complicity with a White House staffer who stole strategy memos from Senate Democrats during his service in the George W. Bush administration. Neither of those propositions has been substantiated. Requests for comment from the congressman’s office went unanswered. Kavanaugh has kept a low profile since joining the high court in October 2018. Though the justices often teach in law schools or speak to various professional groups when the Court is not hearing cases, Kavanaugh’s schedule of public engagements appears rather thin. Similarly, his maneuvers on the Court reflect a sense of caution: He joined Chief Justice John Roberts and the liberal bloc to keep the Court out of controversies relating to abortion and the census, while his style at oral argument is deferential and inconspicuous. Democratic U.S. Rep. Jerry Nadler of New York, the new chair of the Judiciary Committee, was overheard discussing a prospective Kavanaugh impeachment at some length on board the Acela train to Washington, D.C., just days after the midterm elections.